At The Center for Anxiety & OCD at GroundWork Counseling, we provide evidence-based treatment and therapy for those struggling with Generalized Anxiety Disorder. People who have been diagnosed with generalized anxiety disorder (GAD) tend to experience uncontrollable worry about all sorts of topics and issues. In generalized anxiety disorder, worry involves a great deal of time spent on mental problem solving about an uncertain issue with a possible catastrophic outcome. The main difference between “normal worry” and generalized anxiety disorder is that the worry is difficult for the person to control and time spent worrying is excessive. There are two periods in a person’s life during which a person is at greater risk for developing generalized anxiety disorder. The first period is the time period between childhood and the early adult years (from age 11 to the early 20s). The second high risk time period is in middle age. Generalized anxiety disorder is more commonly seen in women than it is men. Left untreated, generalized anxiety disorder can become chronic and can cause significant distress and impairment in an individual’s life as it affects the person’s ability to function well in school, at work and in relationships. People with generalized anxiety disorder often feel that worry has many positive qualities. People with generalized anxiety disorder tend to experience uncertainty as highly distressing and often believe that anything uncertain should be avoided at all times. Studies have found that it is the intolerance of uncertainty that is the key factor in developing generalized anxiety disorder. Another factor that contributes to the development of generalized anxiety disorder is that the individual tends to interpret ambiguous situations as threatening and therefore predicts negative, or even catastrophic outcomes about situations and events that have a low likelihood of happening. For example, a person with generalized anxiety disorder may watch the evening news and feel that events are more personally threatening than the event would be to other people without generalized anxiety disorder, who were watching the same news program. Because people with generalized anxiety disorder spend so much time worrying, they often begin to think that their worry is uncontrollable and that they might go crazy with worrying. They then begin to worry about how much they are worrying. Numerous studies have confirmed that cognitive behavioral therapy (CBT) is the most effective type of treatment for generalized anxiety disorder. 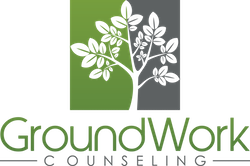 At GroundWork Counseling in Orlando, our CBT therapists utilize this proven method of therapy that includes cognitive, behavioral, exposure and mindfulness techniques to treat generalized anxiety disorder. CBT treatment for generalized anxiety disorder typically lasts from 10 to 15 sessions and the main goal of therapy is to help the person with generalized anxiety disorder to gain the knowledge and skills necessary to deal with their excessive worry by becoming their own therapist. With proper CBT, prognosis for improvement is excellent.